Guys, you may already know how I'm a huge anglophile and am obsessed with anything to do with Elizabeth I. But did you also know how I became obsessed with Queen Victoria after watching The Young Victoria?? Cause I totally am! So of course I jumped at the chance to read a story about her wild child daughter! I love how novels like this one and the ones by Philippa Gregory and Alison Weir transport me to an era I only know through history texts, movies and novels. I love how they bring history to life. And Mary Hart Perry does this in a way that makes my heart happy! I was totally engaged and rooting for all the characters and it was just wonderful! Louise is a very likeable, passionate young woman. She's not so much a wild child according to our standards, but I can see how she might have been over a century ago. She seemed to me more like a naive, sheltered girl who wanted to believe the best of people even when it wasn't always justified. I also really liked Stephen. He was a very worthy male love interest! I mean, if I'd been Louise, I probably would have swooned at his feet as well. He's all alpha male combined with a sensitive side which is just really attractive. Without giving anything away, stories like this one always make me wonder what exactly is true of all the rumors surrounding the relationships between husband and wife and in the royal family itself. While I really loved Queen Victoria in the movie The Young Victoria, here she seemed like a tyrannical old lady who didn't always act in the best interest of her children. And it makes me wonder what the true version is, probably somewhere in the middle. 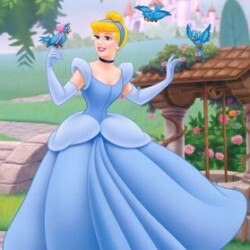 The Wild Princess was a glimpse in a time that wasn't nearly enough for my taste! I could have gladly stayed with Louise and her Stephen longer and that to me is the sign of good storytelling. I was rooting for both of them and reading The Wild Princess kept me up during a 24-hour shift when I was supposed to be sleeping. 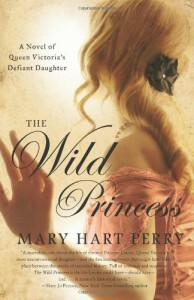 I really enjoyed it and will absolutely keep an eye out for more from Mary Hart Perry!